Our soups are made from scratch daily with fresh vegetables. We serve our salads made to order with fresh ingredients and homemade dressings. Also try our Soup and Salad combo! A small salad of your choice and the soup of the day or a large salad of your choice and soup of the day. Mixed greens, artichoke hearts, tomatoes, cucumbers, feta cheese and kalamata olives. 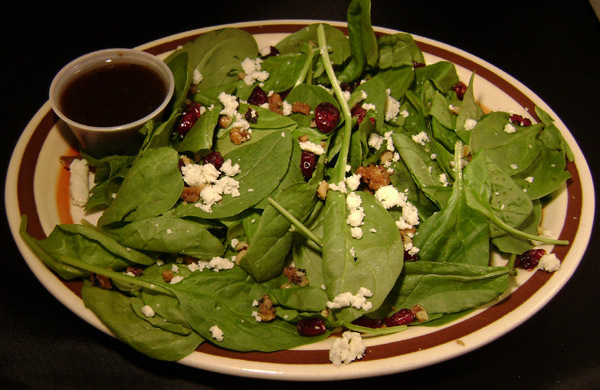 Fresh baby spinach, candied walnuts, craisins and Maytag blue cheese. 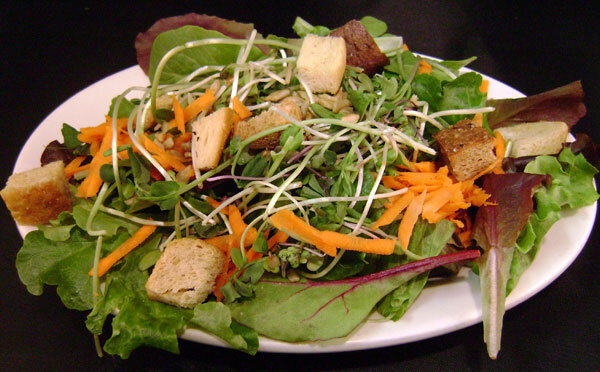 Mixed greens, leaf lettuce, sunflower, radish & sweet pea sprouts, sunflower seeds, carrots and croutons. Would you like extra side(s) of salad dressing? Add a Cup of Soup of the Day?